Weld Counter - Spot Weld, Inc.
For a contract shop, counting the parts you weld can ensure you get the job done right. If you don’t, you may get the whole job sent back to you. If you are welding batches of parts with multiple welds on each part, it is important for an operator to have control of the count. Our customers have demanded a counter that goes beyond the capabilities of traditional weld counters. 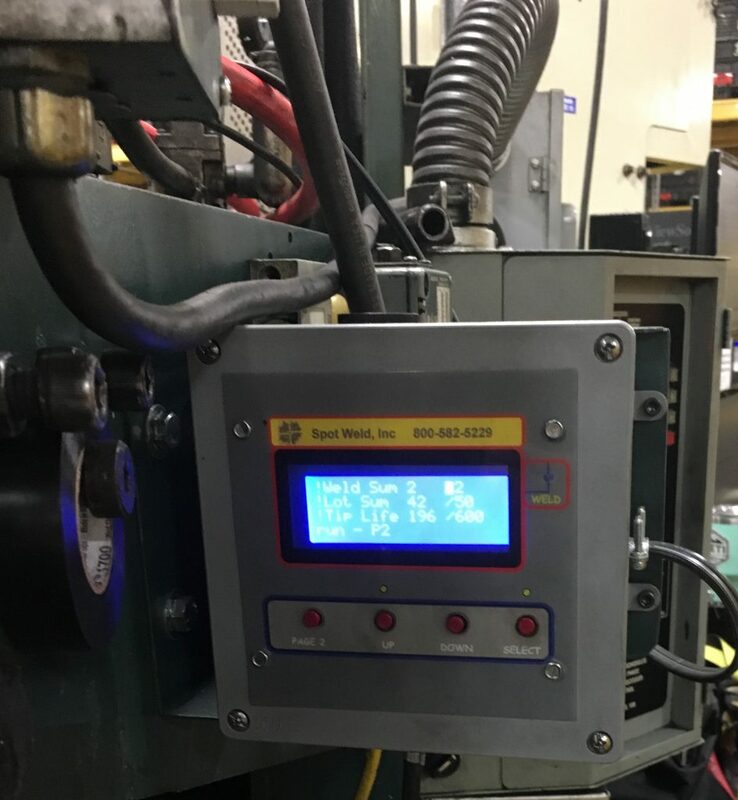 Some weld controls today have weld counters built in, but none have the capabilities of the Spot Counter. This counter reads the magnetic field from the actual weld to make a count. That means no wires, no schematics, no complicated installation instructions. That also means your counter will not mis-count welds during part setup or during troubleshooting in No Weld mode. The counter can also be used with Impulse welding. Simply program in the number of impulses and everything else works the same. The counter also has two relay contact closures, should you wish to add lights, buzzers, alarms, or any other signal to the operator. Output #2 is for Parts per Box and for Parts per Job. Output #2 comes on for a programmable length of time when Parts per Box is completed. It comes on again and flashes when Parts per Job is complete. A 115V/AC power supply is required.